I have had “pocketbook” arms since I was in my 20’s although never being overweight. 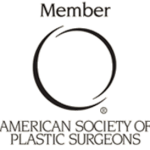 I struggled with the decision for years about surgery; and had previously looked into brachioplasty on both arms in Boston MA. Dr. Giles was emphatic that I didn’t want a scar from my armpit to my elbow and recommended that we proceed with surgery placing the scar in my armpit only. My arms are now amazing, I can now wear sleeveless shirts and feel wonderful about this procedure!!!! “Love Dr. Giles and the entire staff. They do great work. A+…They deserve more than 5 stars!! Dr. Giles and his staff are truly the most amazing, kind, skilled, and very helpful staff. I can not thank them enough. I just had 2 procedures today and feel well enough to post this, and motivated too because of their kindness to me. I HIGHLY recommend him to everyone. He and his staff are a blessing. From the beginning…middle, and all through the process…they are very helpful and compassionate. Dr. Giles and his staff are the best! I am sooo thankful to have met them and chose him as my Dr. and his staff are all amazing too. You will not be disappointed. Thank you soooo very much!! Dr. Giles and his staff are friendly, kind, and always encouraging. Dr. Giles and Shelley work together to make you feel amazing about yourself. I knew immediately when I met with Dr. Giles the first time, that I could trust him 100% to be my surgeon. He is honest about the results to expect and so far has not disappointed me. Five years ago he did a breast lift/ small reduction for me, and 2 months ago a full tummy tuck and arm lift. Everything he told me was the truth! He has turned me from a person who avoided mirrors at all cost, to someone who stares into them and wonders who that person is that is looking back. Dr. Giles performed 2 procedures in 2015 and 2016, tummy tuck with lipo and brachioplasty with lipo, the transformation was amazing. Dr. Giles patiently answers all questions and concerns, Dr. Giles and all his staff are highly professional, warm and caring to their patients. I am so glad to see my photos. I feel that women should know that they can live with no back, shoulder and neck pain and no headaches. I can stand up straight again!!! Please feel free to give my number to anyone that is interested in doing this surgery (breast reduction). I will gladly talk to them either on the phone or in person. I’ve had a few procedures done in the last year or so (breast lift and liposuction) and love, love, love him! He is confident and truthfully answers your questions. He always strives for perfection and I believe he accomplishes it. He really cares about his patients and his staff is also amazing! Glad I was referred to him! The absolute best doctor and staff you can ask for! Super honest, helpful, and caring. 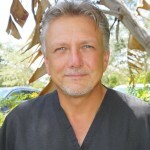 Dr. Giles and all of his staff are warm, friendly, and extremely knowledgeable. I had a breast augmentation in March 2017 and could not be more pleased with the results. My husband and I spent several months researching doctors on both the east and west coast of Florida. Dr. Giles was highly recommended and after my initial consultation I knew this was the right doctor. My procedure went very well and I was back to work within a few days. I had very little pain and no complications whatsoever. Dr. Giles’ office is immaculate and comfortable. Great place with an amazing doctor and staff!!! Absolutely amazing. Can’t say enough about this place, ALL of their staff (especially Shelly) and this amazing doctor, Dr. Giles. I have never felt more comfortable or cared for by any team…from personal phone calls to just genuinely listening and caring. Dr. Giles and his staff are amazing! I wish I went there for my first breast augmentation which left me with bad results and was a horrible experience. Dr. Giles was able to correct the problems and give me the look I wanted. Not to mention him and his staff are so easy to talk to and are honest from the beginning about what your results could be. I’ve been recommending him to all of my friends that are looking to have breast surgery done. Best ever doc and staff! Three augments over 30 years, four kids later, and the doc made miracles happen! I came to Dr. Giles’ office for consultation for hernia surgery and suspected abdominal wall separation. I am FOREVER GRATEFUL I did! I was procrastinating out of fear for the past few years to address my situation and wore spanks and baggy tops for over 2 years to hide the bulge from showing through my clothes. When I arrived for my first visit I was a bundle of nerves inside and hid it from the staff but the minute I was greeted by Courtney and met Dr. Giles all my fears left. I was impressed with the ease of comfort I felt during the consultation, Dr. Giles’ attention and listening skills to my concerns and his detailed explanation of what procedure he would do to help me. Dr. Giles and his surgical staff repaired me beyond my expectations. The wall separation ended up needing more attention and repair therefore I listened to every word of instructions so I would heal properly. My overnight stay in the Renaissance Suite with one of their compassionate nurses helped me through the night and taught me what I needed to know with regards to the drain and what to do at home. It’s a pleasure to have been supported and surrounded by a team of caring, compassionate, empathetic and truly comforting professionals. 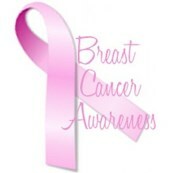 Thank you Dr. Giles, Shelly, Courtney, Sandy and all the other staff that relieved my fears and returned my confidence!! You all made me feel very loved and like a special family member. Staff is not only very professional, but most caring and nurturing starting with Dr. Giles!! Just what you need after life changing procedures. Amazing staff, facility and surgeon! Couldn’t be happier and I highly recommend Dr. Giles. Doc gave me OK to exercise! Not bad, it was only only 3 weeks! He said start slow and listen to my body. If it hurts, stop! I started with a 2.5 mile bike ride today. Going to bike some tomorrow, then walk the bridge on Sunday. Hoping to start running short distances after work next week. So happy! Dr. Giles is the best COSMETIC surgeon ever and his nurses are the bomb!!! I had a breast lift and augmentation done by Dr. Giles…and I could not be any happier with the results! After a 70-pound weight loss 7 years ago I was left self conscious about the way my breasts looked. I went to numerous doctors for consultations, did ALOT of research, and decided on Dr. Giles with his great bedside manner and friendly staff. After having four kids you tend to loose your shape and things go south. I contemplated breast augmentation for some time. After Meeting with Dr. Giles and his office staff I knew I was in the right place. I turned 40 and 10 days later went for it! I am sooo glad that I did! Dr. Giles made me look natural and not fake. I am still healing but the whole process was so worth it. I feel great! Should be able to put a swim suit on by memorial day! Hoot hoot! Miss you! 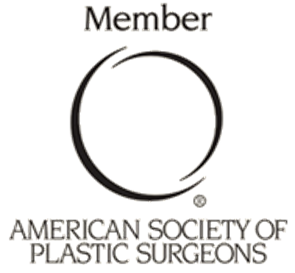 – Dr. Giles did my first breast augmentation and was AWESOME! Since he left the Meadville area, I have had 2 bad cosmetic surgeries done by (doctor’s name removed for confidentiality). I may need to travel to Florida to have you fix it. I recently had saline implants done by Dr. Giles. I was a “A” and wanted to go to full C small D. I have or shall I say had a pectoris which is were your cleavage sinks in a little or a lot, well I always hated that cuz no bras fit right and were uncomfortable. Thanks to Dr. Giles I actually have more cleavage, so he actually fixed that with my implants. He is the best and also his staff is remarkable! Everyone there treats you like they have known u forever, very relaxing and great experience and would highly recommend him. My breast are fabulous, I absolutly love them. I had no bruising at all. I was real nervous when it came time for the surgery, but his staff talked to me and made me feel so comfortable so by the time I got to the operating room I was calm and felt with great confidence I was in great hands. From beginning to end a truly great experience, and would give him 10 stars but since it’s always a 5 star system we have definitely 5 stars. I am very pleased and happy with my new breasts. I had the pleasure of meeting you all a few weeks ago and I wanted to thank you for your kindness. My husband has spoken very highly of your practice for years, 16 years in fact!